But what if you’re generating PDFs programatically? For instance, you are converting a bunch of image files to a PDF using something like ImageMagick (or even GraphicsMagick). Or maybe your fancy software doesn’t add them and you need a way to get them added. Fortunately, you can add them through the somewhat obscure pdfmark interface! WOWEE! There are several paid tools out there to do this and there are even some free ones that do an okay job. For instance, jpdfbookmarks is free and does an alright job (the bookmarks are there, but other PDF processors will likely mark the PDF as invalid and “repair” these by removing them). However, these often introduce an extra interface or simplified format that may not fully support everything you can do with bookmarks (let alone the rest of pdfmark). There is actually a ton you can do (even bookmarks can do far more than just navigate to another page) and the syntax isn’t that complicated. To simply keep whatever zoom level the user is using just use [/XYZ null null 0]. See page 12 of the Cooking up Enhanced PDF with pdfmark Recipes eBook by Lynn Mead for more examples and details. For additional details about how to get this all quickly setup, see my previous post Applying pdfmark to PDF Documents Using GhostScript. If you’re adding bookmarks, you should probably ensure they’re visible when the document is opened by also setting the View Options. Using the pdfmark syntax, you can add a lot of features to existing PDF documents. In a previous post I showed you how to apply pdfmark to PDF documents using GhostScript from the command line. In this post, I’ll show you how to set the View Options using this same technique. View Options control the default display for a PDF document when it is opened. You are able to set the zoom levels, the starting page, and determine what features of the interface are already visible. The /PageMode option determines the starting state for the PDF document. None of the options disable any features (so a user can still turn them on in the interface). The Adobe Portable Document Format (PDF) has a ton of features but often they seem locked behind pay walls such as Acrobat Pro or 3rd party software/utilities. Fortunately, Adobe created a syntax to tap into many of these features called pdfmark. Pdfmark lets you do things like add bookmarks, annotations, document properties, links, attachments, and more! In this post I’ll introduce you to basic pdfmark syntax and show you how to apply it via the command line. I’ve often been tasked with doing this sort of thing to 1,000s of documents. There are PDF libraries, opensource and otherwise, that you can add to some custom code but they often have poor documentation, strange support, and various levels of cost. Fortunately, I’m going to show you how to get started writing your own pdfmark files and applying them from the command line with the free GhostScript tool! From there it’s relatively simple to batch process 1,000s of documents or integrate it into your own tool. This post will serve as a basic setup guide for a short series on different things you can do with pdfmark. GhostScript is a free opensource library with a command line interface that makes it really easy to apply your pdfmark markup to any PDF with a simple command and it can be automated to process thousands of files. You may even have it installed already since it’s used by a lot of software (like PDF Printers). If not, it’s a pretty simple install. Head over to the downloads page and pick either the 64 or 32 bit version depending on your machine. Unless you want tech support or want to redistribute GhostScript commercially, you can get the free one. As of this post, the latest version was 9.21. GhostScript will apply pdfmark syntax to a PDF document by referencing a text file. So let’s create a pdfmark text file! This is an example of applying View Options to a PDF document and is one of the simplest things you can do. Every pdfmark “command” starts with a left square bracket and ends with the command type preceded by a forward slash followed by the word pdfmark. Frustratingly, there is no closing square bracket (WHY?!). You can have multiple commands in a single file. In a pdfmark document, spaces and tabs don’t matter (except in strings which are enclosed in parenthesis and not shown above). This means that you could write it all on one line or do what I did and separate it across multiple lines and indent in a way that makes it easier to read. You can add comments by using a % sign. The comment will apply until the end of the line and won’t be interpreted at all. Multi-line comments must each have a %. Note – GhostScript can do a ton of things and there are lots of additional options you can mix in to do some really powerful stuff, but the above is all you need to apply pdfmark. If you just want to overwrite the PDF document, skip the -o parameter. Also, note that the parameters are CASE SENSITIVE. Great! Now we can apply pdfmark to PDF files using the command line! But what can we do with it? The next few posts will provide several examples of what you can do. In the meantime, check out the pdfmark Reference, the PDF Reference, and/or the really helpful Cooking up Enhanced PDF with pdfmark Recipes eBook by Lynn Mead. The obvious fix is to install an iFilter. Unfortunately, this isn’t always an option. 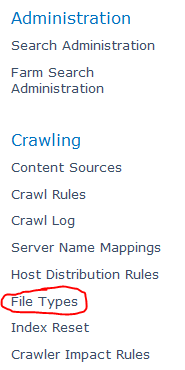 For us, the performance and crawl delay issues didn’t make up for the benefit of having these documents indexed. 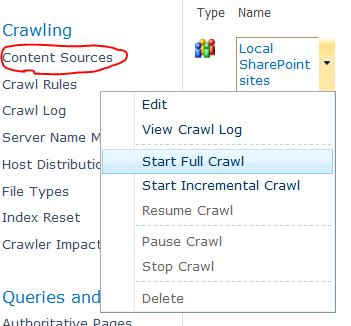 Fortunately, I came across this answer by daver306 on SharePoint SE that didn’t get a lot of attention but worked perfectly for me. I wanted to write it up with some added detail and share my experiences. Not only does this allow you to link directly to your PDFs within the search without the use of XSL and allows KnowledgeLake queries to open PDFs directly within the KnowledgeLake Viewer, it’s actually pretty simple to do.